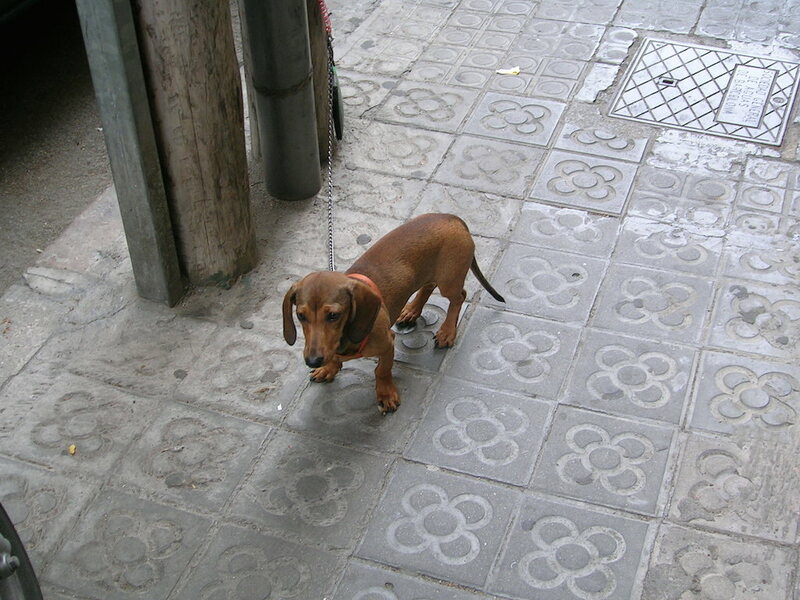 Wandering around Barcelona, we happened across this little guy. We stopped to say hola but he didn’t want to know us… how rude! “In that case, you owe me $8. Your Dachshund came into my shop earlier this afternoon, and walked off with one of my prime roasts”. “I’m afraid you’ve got me there,” said the lawyer. He reached into his pocket and gave the butcher $8. LOL! Too cute on that rude dachshund and the story too funny! The dog makes me miss my chiweenie Chloe. Love the name Chloe! :-). Bet she was cute too! You should do a blog post about her 🙂 I’d love to see her!